This strain has manifested itself in numerous ways. 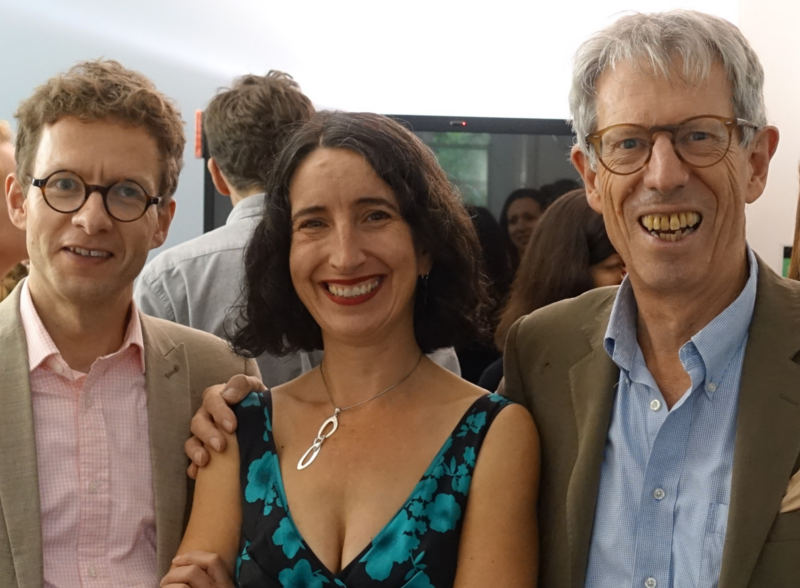 The Independent Group (TIG), created on 18 February (see page 12) and currently including 11 former Labour and Conservative MPs, is the largest breakaway from the main parties since the ‘Gang of Four’ founded the Council for Social Democracy – precursor to the Social Democratic Party (SDP) – in 1981. Labour disquiet is widespread, and Deputy Leader Tom Watson has proposed an intra-party grouping of social democrats to stem further defections. The Conservatives have their own party-within-a-party, in the strongly pro-Brexit European Research Group. After many false starts, it forced a vote of no confidence in Theresa May’s leadership of the party in December, which she won by 200 votes to 117. Divisions are clear within the executive, severely stretching collective cabinet responsibility. In November, Brexiteer ministers openly expressed their dissatisfaction with the Withdrawal Agreement that had just been concluded between the government and the EU. Several (including the Brexit Secretary) resigned, while Remainers such as Jo Johnson have also departed. In February, three cabinet ministers signalled their determination to prevent a ‘no deal’ Brexit despite the Prime Minister’s repeated and adamant refusals to take this off the table. Remarkably, analysis by the Institute for Government shows that almost a fifth of ministerial resignations since 1979 have taken place during Theresa May’s short tenure. Non-Brexit business within government is paralysed, and legions of civil servants from across Whitehall have been diverted to Brexit preparations. The relationship between the executive and legislature has also been strained. The government suffered the largest Commons defeat in modern history in January, when MPs rejected the Withdrawal Agreement. Nonetheless, it comfortably survived a no-confidence vote the following day. The Commons Speaker has caused controversy through his selection of amendments, while MPs have several times threatened to wrest control over the chamber’s agenda more decisively (see pages 3–4). In response to these ministerial and parliamentary pressures, in late February the Prime Minister conceded opponents’ core demand of an opportunity to reject ‘no deal’. Anyone doubting the power of the Westminster parliament must by now have been disabused of that notion. 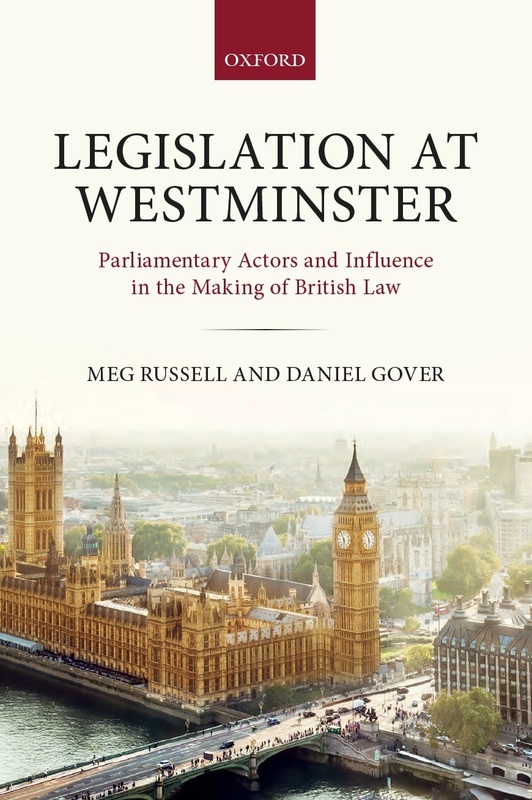 Readers of Meg Russell’s book Legislation at Westminster (now out in paperback – see page 9) would already be familiar with the pattern whereby ministers, whenever possible, offer parliamentarians policy concessions in order to avoid difficult defeats. Pressures on Labour leader Jeremy Corbyn to make concessions to his Remain-supporting MPs – or risk losing more of them to TIG – have also played a role in shifting the parties’ positions. Despite some indications that such a move could drive away more Brexit-friendly shadow ministers, he finally indicated in late February that his frontbench would support amendments seeking a fresh Brexit referendum (or so-called ‘People’s Vote’). Depending on the decisions in the coming days, this could yet become (as the Unit’s report in October foresaw) a condition for parliamentarians supporting a Brexit deal. Meanwhile, key figures including Gordon Brown have urged more deliberative forms of public engagement, through citizens’ assemblies (see our blog). A relatively lengthy delay to Article 50 would allow either or both of these to happen. Constitutional tensions extend well beyond Westminster. Devolved government in Northern Ireland has now been suspended for more than two years, and interest is growing in the possibility of a border poll on reunification with Ireland. 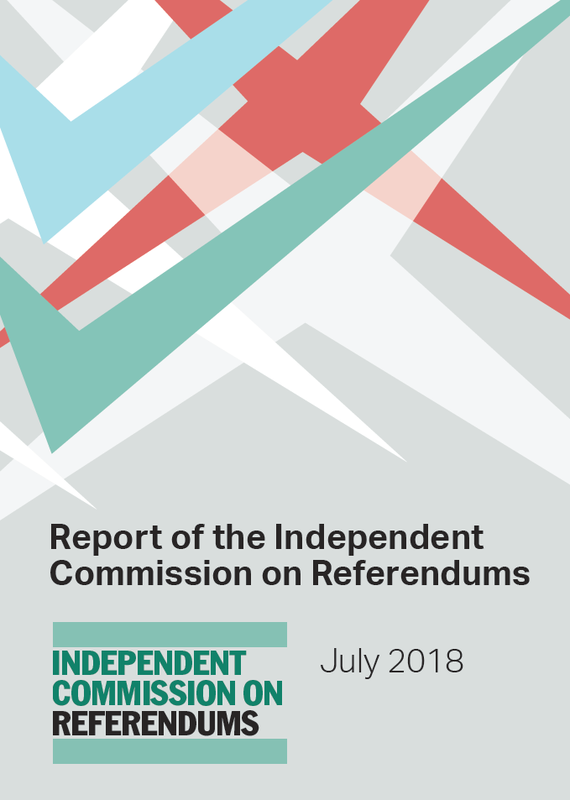 Existing pressure for another independence referendum in Scotland was fuelled in December, when the Supreme Court ruled that Westminster legislation passed in June had rendered unlawful key provisions of a Scottish bill which had sought to retain EU law in Scotland (see page 5). There are, meanwhile, efforts to strengthen the democratic process. In February, the Commons Digital, Culture, Media and Sport Committee published a major report urging far-reaching measures to tackle online disinformation and abuse (see page 10). 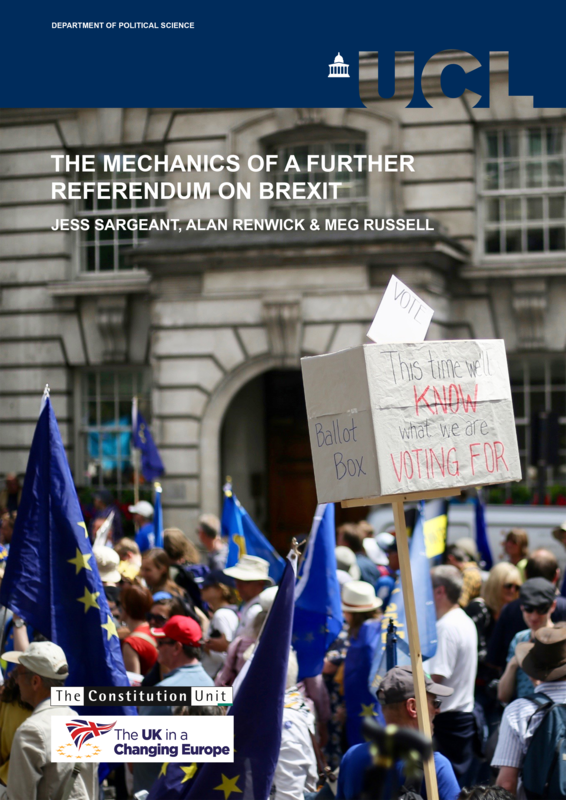 In March,the Constitution Unit published its own detailed report, by Alan Renwick and Michela Palese, proposing an ambitious package of reforms to promote high-quality information and discourse during election and referendum campaigns (see pages 16–17). The Unit also jointly sponsored a conference exploring different mechanisms for developing constitutional reform proposals (see page 17). In the short term, the system faces a deep challenge in navigating through the final stages of the Brexit process. 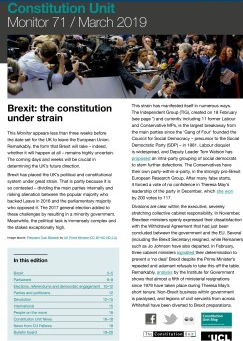 Once the dust has settled, concerted attention may need to be given to rebuilding trust in the UK constitution and democracy. This entry was posted in Brexit, Devolution, Elections and referendums, Europe, International, Parliament, Parties and politicians, Public Engagement and Policy Making and tagged Article 50, Brexit, British Columbia, British Columbia referendum, citizens' assemblies, citizens' assembly, Citizens' Assembly for Northern Ireland, Continuity Bill, digital campaigning, Digital Culture Media and Sport Committee, Doing Democracy Better, England, EU, European Research Group, European Union, Further referendum on Brexit, House of Commons, House of Lords, Independent Commission on Referendums, Jeremy Corbyn, Legislation at Westminster, liaison committee, Monitor, no deal, no deal Brexit, Northern Ireland, PACAC, People's Vote, pre-appointment scrutiny hearings, proxy voting, recall of MPs, Scotland, The Independent Group, Theresa May, TIG, voter ID, Wales, withdrawal agreement. Bookmark the permalink.